Hey guys, last year I hadn’t blogged long enough to get one of these reports at the end of the year. Honestly, I’m pretty ecstatic about where my blog is and where I think it’s going. And it’s all because of my readers. Because of you. Y’all have no idea how much I enjoy this. All I can say is thank you. It’s been a memorable 2014 and I promise to keep the posts coming next year. Now check out the full report to see what you helped accomplish! Seriously, it’s all you. I just happen to have my name in the title. 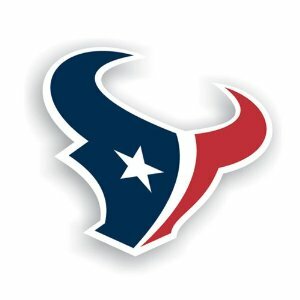 Most of you don’t know that I’m a die hard Texans fan. I’ve watched through some pretty rough seasons and some surprisingly good ones. And even though this year has been a struggle, the Texans can still make the playoffs with some help from a couple guys. They beat The Jacksonville Jaguars. Okay. Not the most difficult proposition. The Kansas City Chiefs beat the San Diego Chargers. Wouldn’t have been the worst thing in the world until they lost their starting quarterback this week. Now they must beat the Chargers (who are also vying for a playoff spot) with a quarterback who has all of one career NFL start. Oh great. AND the Cleveland Browns beat the Baltimore Ravens. The Browns are starting their third string, rookie quarterback today after losing their first two to injury. Fantastic. So all the Texans need is a backup quarterback to lead his team to victory and a third stringer to do the same. Nothing big, right? If all those things happen the Texans would be in the playoffs as the sixth seed. But they’d be in. That’s all today. If you’re a fan of the NFL, then sit back and watch the final week of the regular season. If not, well then don’t. Ha. UPDATE: The Texans beat the Jaguars. The Chiefs beat the Chargers. But Cleveland could not come away with a win in Baltimore. The Texans finish the season 9-7 and miss the playoffs. Sad John. Hey guys, today’s my birthday! I know, I know. You can’t wait to wish me a happy birthday and tell me how awesome I am in the comments. 😉 I’m turning 23 today, and it was a rather nice year. Now read my poem. Get Anything Bookish This Christmas? I have to be honest. I’m not big on Christmas. I would be perfectly fine if we didn’t celebrate it at all. Which is why each and every year I tell my family that I don’t want anything, and mean it. But of course they still try to find something to get me. Which is fine, I guess. I’d prefer they spend their money on more useful things. Anyway, this year I did just as I have in previous years. I said I didn’t want anything. Which left them to just get whatever. It was basic stuff. Pretty much all clothes. AND SOCKS! But for the second year in a row one of my brothers got me something bookish. They’re bookends! But they look almost exactly like one of our former pets. Here. Look. Uh can you say awesome? I’m even going to dust off my bookshelves before I use them. Last year he got me some fancy bookmarks. Or was it two years ago? One of the two. Anyway, these little guys were my only bookish gifts this year and I think they’re great. What about you? Did you get anything bookish this Christmas? Like books, maybe? Tell me. Are any of you on SnapChat? You see from the picture that I am. Add me “jguillen12” I’ll send you the most random snaps you can imagine. Unless you’re boring, then I won’t. Ha. BookVibe has compiled a list of books most mentioned on Twitter in 2014. Might as well just get into the list because I’m sure you’re more interested in the ten books than any preceding comments I have. I suppose it would be unwise to think that a list like this wouldn’t include some classics, right? I mean, don’t high school kids have to read this? Maybe? I don’t know if high schoolers are reading this, but I’m not particularly surprised by it. Hey. This is a definite surprise to me. It’s obvious that this made the list because of the new movie coming out next summer, but it is still nice to see people talking about it (even though we’re coming up on movie four and there are only two books.) But I read this in high school and then read the second one. Enjoyed both. Haven’t read this one, but I know it’s popular. My only question is if her real name is really Rainbow. And I actually know the titles of all of her books even though I haven’t read any of them. That’s cool. When a book is adapted into a major movie that immediately gets some awards buzz going, well it’s hard to imagine a world in which Twitter isn’t right on board with that. Still haven’t read this, though I’m about 90 percent sure I know what happens. Eh. Obviously an American classic, but wasn’t this book just released as an e-book for the first time this year? Maybe that helped? I would have to go back and take a look at my banned books post, but I think this made the list. Cause I know it was published a few years ago and I figured that two of his other books would make this list over this one. Hm. What do I know? There is absolutely nothing for me to say about this. Who wouldn’t expect this? Well it sure looks like John Green is right at the top of the literary world at the moment. Heck, this is the only book on the list I read in 2014. And he has another movie coming out next June. And is there anyone out there who doesn’t think his other works will be adapted at some point? Doubt it. I still would just like to mention that I have the same initials as John Green. Cause that somehow matters. This book actually had more than double the mentions on Twitter as the second book on the list. Sheesh. So that’s it! The top ten books of 2014 on Twitter. Any surprises?